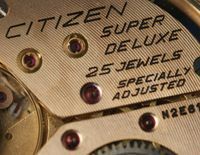 This entry was posted in Vintage Watches and tagged Citizen Leopard, Vintage Citizen 36000, Vintage Citizen High Beat. Bookmark the permalink. Hello again! 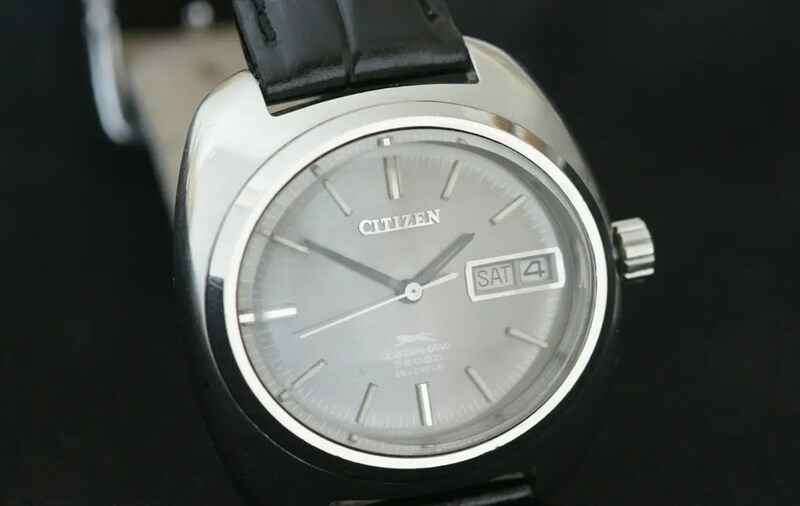 🙂 I have searched everywhere info about a Citizen Leopard automatic…. pocket watch. Reference no is 67-2912. I will write eventually an article about it, but so far i have no info on it. I know the movement but… as a pocket watch, with display back…. Do you have any info on this? Hi Doc, nice to hear from you again 🙂 I like the blue and red divers on your blog – very nice indeed. 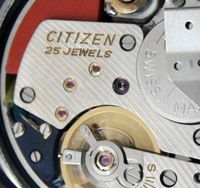 Citizen made a lot of pocket watches using various wrist watch movements, but I have never seen one with a Leopard movement. In fact I’ve never seen a pocket watch with an automatic movement, presumably since they would not get the action needed to keep them wound. The movements I’ve seen have been hand winders, X8 Cosmotrons and Hisonics – of course all these will work without being shaken. 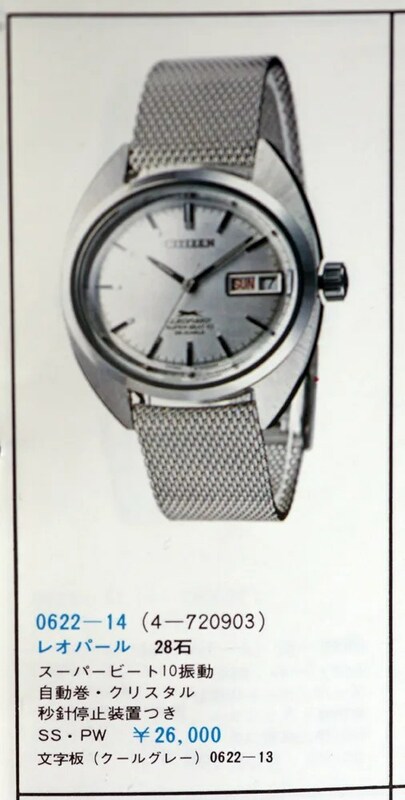 I have seen a display back on one, with a Cosmotron movement on show. 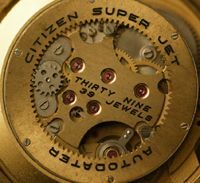 So I’m sceptical about a pocket watch with an automatic movement – have you any pics you can share? Actually besides the Citizen Leopard, there is the Eterna Matic Golfer. Also at least an IWC prototype. Trying to get at least one of them for daily usage. As I tend to use the pocket watch everywhere, it should not be a problem. I guess this legend about they not getting enough winding arose in the US, where people drive everywhere, while I tend to walk a lot. Also, old movements where not as sensitive to movement as newer ones, which would get more than wind enough. Great, it should be enough for every but the most sedentary. I just remembered two further models, but they seem to be Chinese (or at least East Asian) fakes: Charles Hubert and Arca Futura. Charles Hubert had a model until a few months ago, very cheap, Arca Futura has one right now, very ugly and not so dirty cheap (around US$300 in Yahoo Auctions via Buyee). A few years ago rumours had it that IWC would go full circle with the Portugiesische by making a new, automatic pocket version of it, but I never heard again of them. 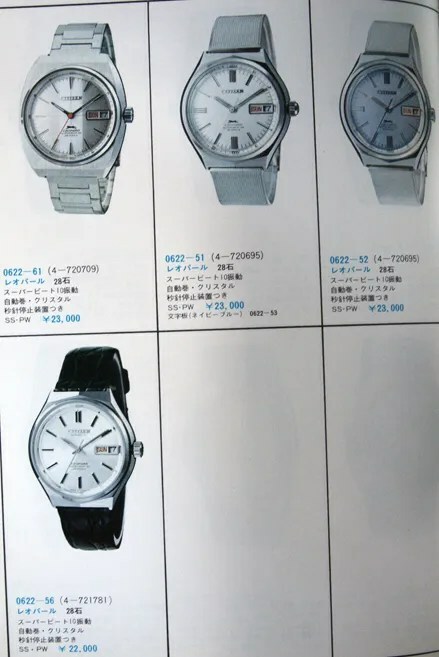 Also just remembered a modern skeleton European watch, something like fifty units made at something to the tune of US$20 grand each. So will I — or rather, I will have to pass since I have no such money, and even if I had I could not spend it like that. I understand it is the luxury market, but it seems quite offensive to me. On the other hand, I have put a search on Yahoo! Auctions Japan for the Citizen Leopard. Only that having to rely on Google Translate, I am not sure I managed to set Yahoo to send me an email alert whenever one such item is offered. Good luck with your search. Are you looking for the Leopard pocket watch in particular? Yes, but I could also get an Eterna Golfer. It seems there is one at my city, Brasília, but it has been difficult to get in contact with the sellers. Also, there was a watch repair shop at São Paulo that had a prototype IWC some six years ago, but then I was broke and not even asked the price. Have already sent them a inquiry, no answer yet. It Brazilian customs would not levy 60% import tax on it, I would probably get a Golfer currently on offer from Zürich on eBay. I’d heard that import tax in Brazil was high – 60% is crazy! Not to mention the Brazilian customs quite often evaluate the imports higher than what one actually paid, and to top it all the Brazilian Post will not deliver taxed goods to your home, even if they levy an additional fee for taxed goods — you have to pay extra to pay taxes, and do that at a Post office. Wow, makes me wonder why anyone would import anything! No wonder, there are things which are just too expensive here, and others we simply cannot find in the country. What an obscene price – and imho a very messy design too! Agreed. It sounds to me more like those fashion catwalks that look more like agressions to the femaie body by someone who hate women than anything like anyone could conceivably wear. It reminds me of a luxury objects designer I knew at Switzerland. He told me of the similarly obscene prices of the objects he designed — pens of more than a hundred thousand Swiss francs, watches of more than a million. I asked how come something could cost so much, he replied they were made of gold or platinum, studded with jewels… I replied, surprised, ‘then they are ugly!’ He replied, ‘Sure.’ Me: ‘whomever buys such things?’ He: ‘Oh, African presidents, oil Sheiks. They buy several, to distribute to family & friends.’ So sad. This particular watch is more like a Nietzchean power to will statement than anything a sane philosophy could ever produce. I suppose somebody will buy things even at this kind of price – and sadly I guess that the high price is regarded as the reason for buying it, rather than the aesthetics and functionality of the design itself. Yes, somebody will buy, or the producer would go out of business. Indeed, the price is at least part of the reason; only that people will call it ‘exclusivity’. Just found yet another one: the 1956 Tissot Visodate, now offered by Timepiece Ltd at eBay under the Emperor Sissi moniker. It looks a bit like the Leopard, but simpler, fatter, without the crystal back. You are welcomed! I was actually thinking about creating a wiki page or something the like on auto pocket watches. When I was researching photography for my wife, I contributed a bit with Camerapedia; I wonder if there is something the like for watches. And then http://watch-wiki.org/index.php?title=Automatic_pocket_watch – it is a German installation of Mediawiki, which causes some grief, but at least it is familiar to Wikipedia editors. Thanks! I will keep posting. Someday i hope i will post something special! 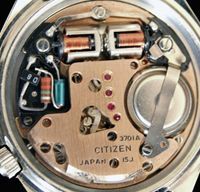 Yours looks to have a standard movement – I’ve seen movements given special finishing, for example gold plating, to show off through a display back. 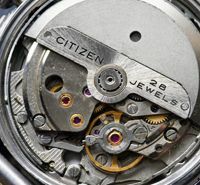 The watch isn’t made to a pocket watch size – they are bigger – so it’s the size of a wristwatch. It’s marked ‘OR-D-1’ which I think relates to the waterproof crystal design. Usually Leopards are marked ‘parawater’ or ‘water resistant’ but this would be hard to fit on the blue ring! As you’ve found already, the model number doesn’t get us anywhere on Google, nor does the case number. I’ll see if any of my contacts have seen anything like this before.